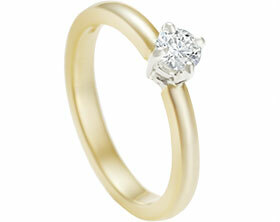 This palladium, willow leaf inspired engagement ring combines both traditional and modern aspects. 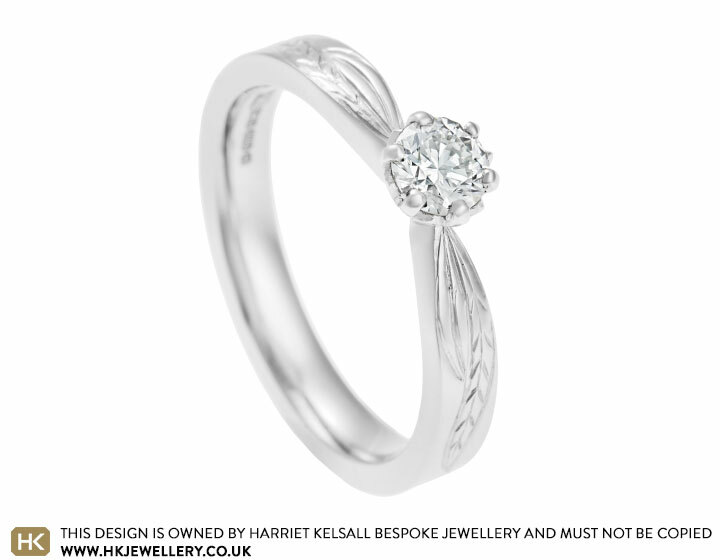 The delicate engagement ring features a brilliant cut, 0.30carat, H in colour, SI1 in clarity, GIA Certified diamond in a traditional six claw setting. 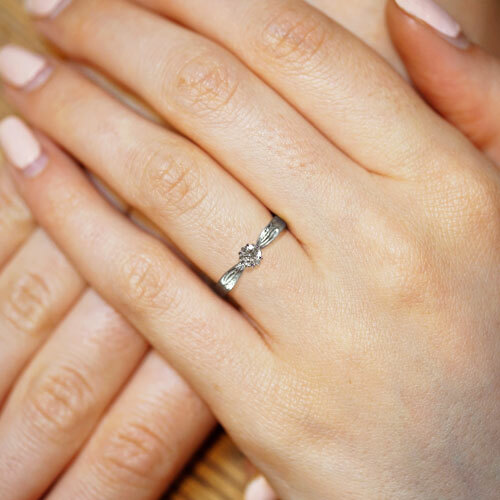 The tapering 3mm wide band brings your eye to the central stone, and the band features a delicate and intricate hand engraved willow leaf which continues half way round the ring and creates added sparkle. 18ct yellow goldtrilogy engagement ring with platinum settings incorporating a 4.2mm 0.26ct and two 3.7mm 0.36ct brilliant cut G/H/I VS/SI. Sprouting seedling platinum and diamond engagement ring. 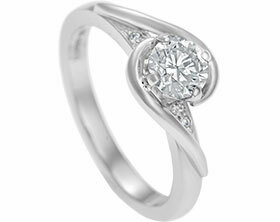 9ct white gold and pear shaped diamond engagement ring. 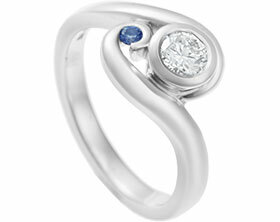 18ct white gold moving wave engagement ring. Bespoke platinum engagement ring incorporating customers own 0.97cut diamond.